Yesterday was supposed to be the Big Day of this tour, i.e. the one with the best parameters, and it did not result in any tornado. After two weeks of disappointments and storms that starts to die or congeal after 1-2 hours, allowing for very little actual storm watching, I have to confess I was giving up. I did not sleep very well the night before and was just not really “there” any more. This day actually looked quite promising as well but I never really got my hopes up. The play of the day was by the Nebraska/Iowa border, a cold front setup where our best hope would be a storm to fire off and latch on to the warm front. If so, it could have been a very great chase day. 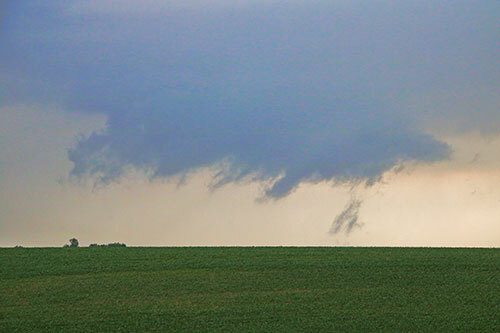 As with many days, it started off quite promising with a wall cloud with some rotation in it and possibly even a funnel. This feature at our first stop looked quite suspicios. At this time the storm had a rotation couplet so it could have been a brief, weak tornado but likely just scud as there was no strong rotation. As we watched the storm, several other storms south of us were popping up and when we decided to leave our position we were caught north of the Tail End Charlie and the starting of a big haily, rainy mess. We just could not get south to see anything. 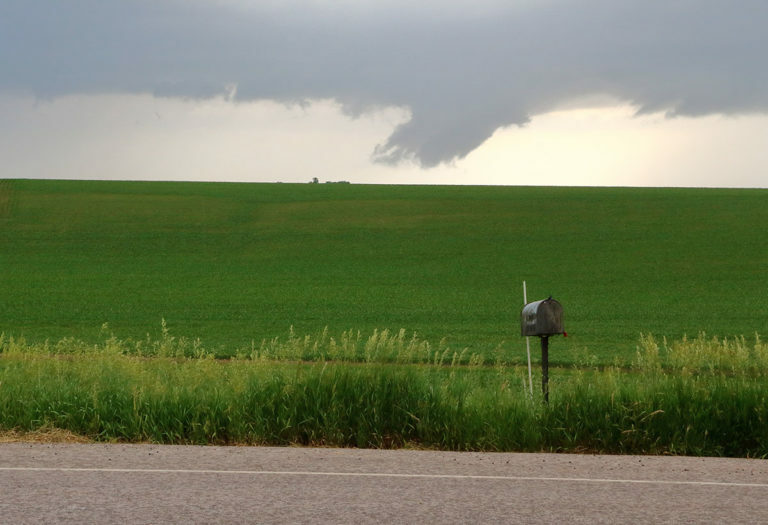 We did however find a anticyclonic west end part of another storm with a rotation couplet in it but it did not do anything else than what we had seen before. There was a tornado reported in two of the storms south of us but they were both brief and quite unimpressive. At this time it seemed like Colorado could be a chase target for the day after (day 17, the last day of the Weather Adventures tour) which would have been convenient as we had to return there anyway. Eventually, it turned out not to be anything else than thunderstorms with some hail. As such, this would conclude my chase season of 2018. I will sum up the season in the next post.